Edita P’eha became the performer of the first Soviet twists and shakes, she first removed the microphone from the stand, first began to talk to the public at concerts. During her creative activity, she released more than 10 giant discs at the All-Union Recording Company Melody, songs from which were included in the golden fund of the national stage: “City of childhood”, “Danube Wreath”, “Become so”, “Our neighbor”. 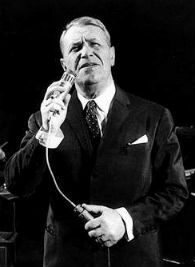 Many songs were released by record labels in France, in Cuba, in the GDR, Poland. 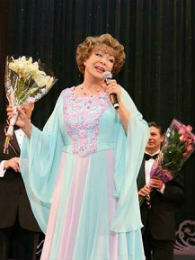 The total circulation of the singer’s records reached tens of millions of copies, and for the record circulation of records, Edita P’eha was awarded a jade disc in Cannes. The geography of Edita Stanislavovna’s tour is shocking: she represented the Soviet and Russian pop song in the singer Edita Pyekha in 20 countries of the world, in some of them – repeatedly. The first of the artists of our country, Edita P’eha, sang at Carnegie Hall in New York, twice appeared on the stage of the most famous Parisian hall “Olympia”. She had occasion to sing on the stage of the State Academic Bolshoi Theater, and for cosmonauts in direct orbital communication sessions, and in factories, and for the reindeer herders of Chukotka, and in hospitals in Afghanistan. 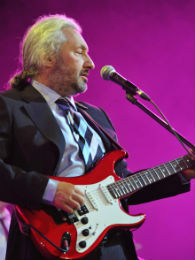 The singer was the initiator of the performances of artists in the fund of the Olympics-80 in Moscow. She organized the establishment of a monument to children who died during the Great Patriotic War, in the village of Shatki, Nizhny Novgorod region. Edita Pieha is fluent in Polish, German, French, Russian, sings in dozens of world languages. In her free time she likes to walk and ride a bike, plays badminton. Beautiful and violent creative biography of Edita Piekha is described in many books and variety encyclopedias. Far less well known is how it began and how personal life evolved. From her first husband (with whom she lived for 20 years) Edita Stanislavovna in 1961 gave birth to a daughter Ilona. Unable to bear the endless novels of Bronevitsky, Piekha started her own – with KGB colonel Gennady Shestakov, who later became the singer’s second husband. Unfortunately, Edita Piekha’s second marriage fell apart. This time the reason was the great love of the spouse for alcoholic beverages. The singer’s third husband was journalist Vladimir Polyakov, but the pop star also broke up with him. Pieha is afraid to drive a car. The only attempt to become a driver ended in inconceivable turns on ice at the Moscow railway station. For which the star immediately received from the frightened husband of Alexander Bronevitsky and a strict order: “Never sit behind the wheel again.” In St. Petersburg, the singer carries a personal driver. The star was suspected of having an affair with Gagarin. It was at the dacha of the Central Committee of the Komsomol, where artists were invited to rest after the singer Edita Pieha of a successful concert.